Mini facelift plastic surgery is well-suited for people who are looking for a maintenance procedure for the face or wish to reduce the early signs of aging. A cosmetic surgeon will usually advise a mini facelift if the patient needs a correction in the lower face only. Plastic surgeon, Dr. Brian J. Parker, provides a mini facelift among other procedures to his patients in Las Vegas and surrounding areas. In comparison to a full facelift cosmetic surgery, a mini facelift will cost substantially lower. A facelift is typically a major surgery involving general anesthesia and invasive surgery for the face and neck. The fee charged by the cosmetic surgeon will be higher in case of a full facelift. In case of a mini facelift, the costs of general anesthesia will be avoided. It is an outpatient procedure, where as a full facelift may involve the costs of an overnight stay at the surgical facility. 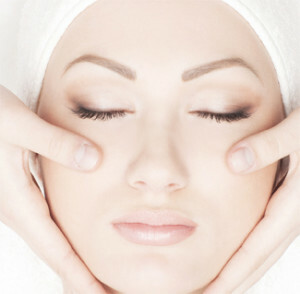 In most cases, the mini facelift surgery will cost less than half of a traditional facelift surgery. The cost of a mini facelift surgery can differ from one practice to another and even from one patient to another at the same practice. A number of factors will go into determining the actual cost. The practice location can make a difference to the costs because the cost of living index may influence the average costs of most types of goods and services, including plastic surgery procedures. The cost of a mini facelift in Las Vegas may be different from the cost of the same procedure in say, Oklahoma City. The qualifications, experience and reputation of the plastic surgeon in the field of facelift surgeries may impact the fee charged by them. According to the American Society of Plastic Surgeons (ASPS), patients should choose the appropriate surgeon for their needs, and surgeon’s fee should only be a secondary consideration in this decision. The cost of the operating room where the procedure is performed may vary, depending on the kind of facilities, services, and experience staff provided at a particular place. The cost of a mini facelift on average may range from $4,000 to $8,000, depending on the extent of surgery involved and various other factors. The cost may go up if the procedure is performed in conjunction with other surgeries such as forehead lift, eye lift, neck lift, or others. When making a choice of the right plastic surgery practice for a mini facelift, patients should look at their estimated cost keeping in view all the cost factors. A mini facelift is typically performed as an elective procedure for aesthetic reasons. Therefore, the cost of surgery is not likely to be covered under the patient’s health insurance plan. However, most patients will have several financing options open to them. They may consider borrowing from family or friends, or negotiate a loan with a bank or a medical care financing company.